On Tuesday night (5th February 2019) I, a Scotsman who now lives in London, received a phone call from Canada. On the other end of the line was the Calcio Guys, a bunch of lads who love to talk all things Italian football. So far in the mix we have Scotland, England, Canada and Italy. We are so cosmopolitan. Or at least we are northern hemisphere cosmopolitan. 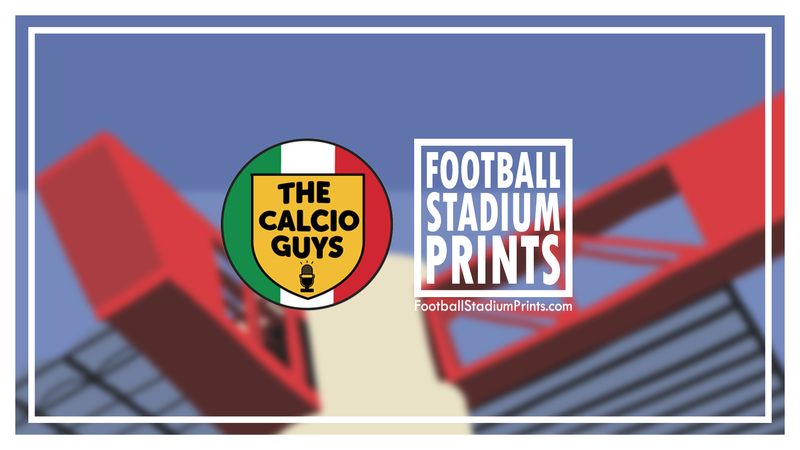 Anyway, we had a lovely chat about Football Stadium Prints and my journey so far. They are a great bunch of lads and I’ll hopefully be appearing again soon once I’ve designed some more Italian grounds. I recommend listening to the whole show but if you just want to hear my dulcet tones then you can skip to around 23.5 minutes in. If you want to know more about The Calcio Guys you can follow them on twitter @TheCalcioGuys or why not head over and check out their YouTube Channel.